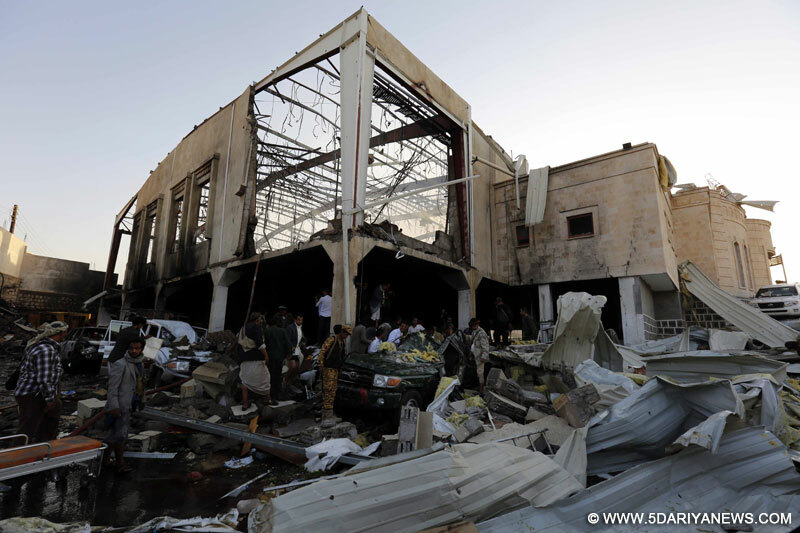 At least 155 people were killed in Saudi-led airstrikes that hit a funeral home in Yemen's capital of Sanaa, two health ministry officials said late on Saturday. No other details were immediately available.The Saudi-led coalition, involving several Arab countries, began a military campaign in Yemen in March 2015 aimed at preventing Houthi rebels allied to Iran and forces loyal to Yemen's deposed President Ali Abdullah Saleh from taking power.The conflict that has left millions in need of aid and pushed communities to the brink of famine.An estimated 10,000 people have been killed in what many term the "forgotten war", according to the UN.In early 2015, Houthi rebels -- a minority Shia group from the north of the country -- drove out the US-backed government, led by President Abdu Rabbu Mansour Hadi, and took over the capital, Sanaa.The crisis quickly escalated into a multi-sided war, which allowed Al-Qaeda and the IS -- other enemies of the Houthis -- to grow stronger amid the chaos.The Houthis are backed by Iran and its members follow the Shia Islamic branch of Zaidism. Zaidis make up around a third of Yemen's population and ruled the country's north for almost 1,000 years until 1962.Since peace talks in Kuwait failed in August, the coalition intensified airstrikes, despite vocal criticism from rights groups that the bombardments have been indiscriminate and constitute war crimes. The attacks have often hit civilian targets with devastating results.